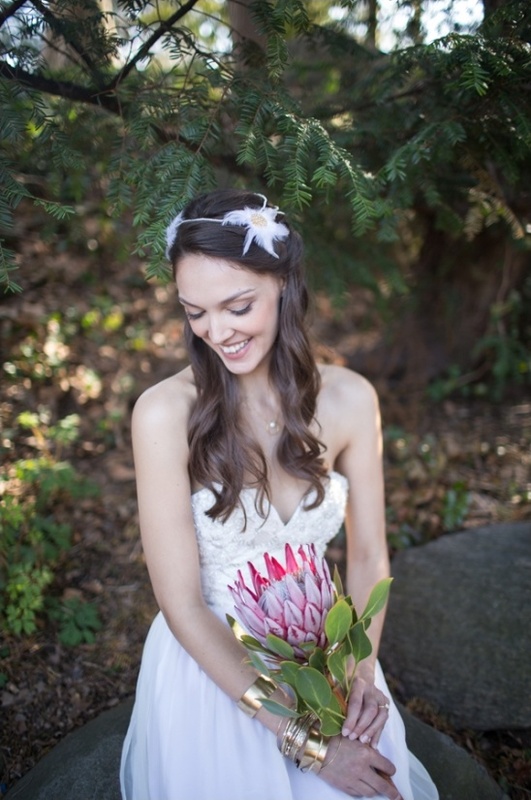 For this next feature think beauty in bloom: a goddess-inspired shoot. 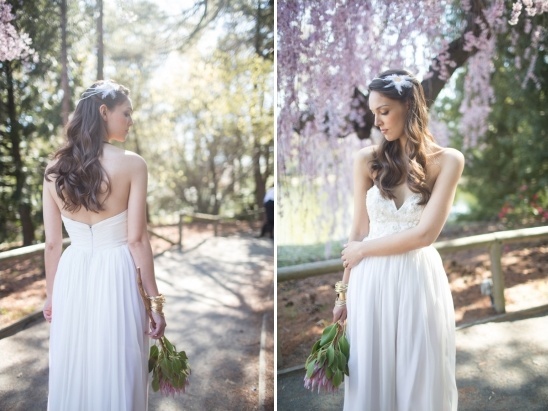 A ridiculously amazing group of vendors channeled the exquisite grace of a Greek goddess for this bridal beauty session, shot on location at the Brooklyn Botanical Gardens. As their model, Rachel, wandered the lush landscape, all of the elements worked in harmony, from the warm sunshine to the blooming cherry trees. View all of the gorgeous images from this Greek goddess bridal inspiration in the full gallery here, all magnificently captured by Brandi Schaffran-Webb of Alexis June Weddings and Jennifer Cyr of Cyrience Photography. 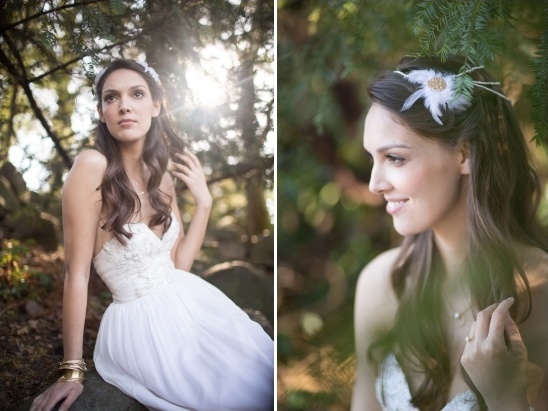 From Jennifer Cyr of Cyrience Photography:I adore this look for a bride because of its elegant simplicity. 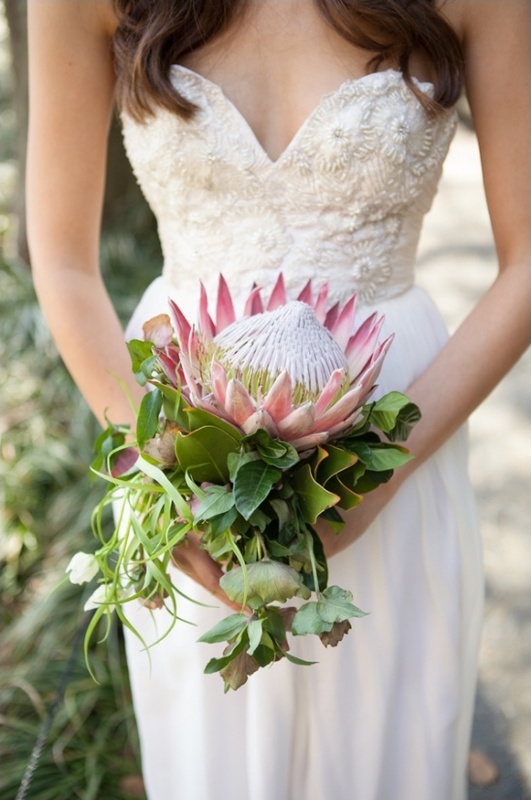 It's perfect for a summer afternoon wedding! 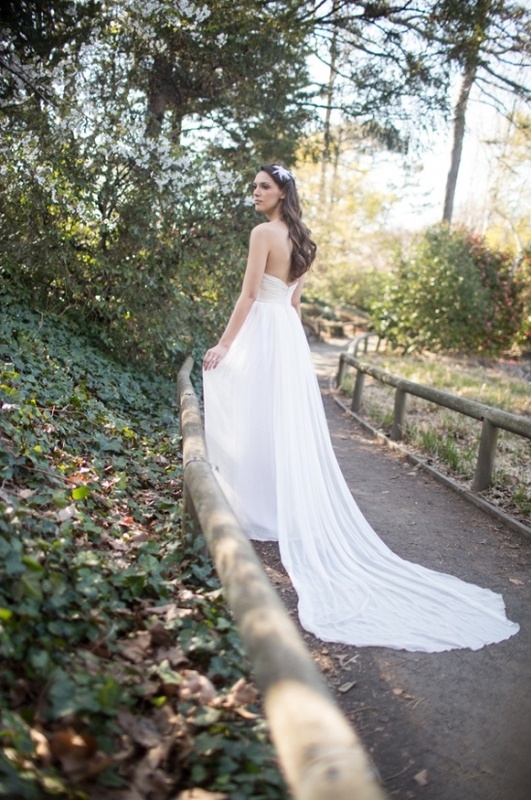 The "Sublime" gown from the Sarah Jassir collection at Angelique Bridal in Manhattan and Hushed Commotion headpiece, "Sabina," transforms her into a vision of Antheia, Greek Goddess of flowers. The single King Protea bloom is so sophisticated all on it's own, complementing the look and the multitude of blossoms around the gardens. In addition, she can remove the head piece and sweep the hair into a messy side bun, easily transitioning from ceremony to reception and still looking chic.